Inverness Florida Home For Sale, Inverness Realtor Pat Davis C21 JW Morton Real Estate. J.W. Morton Real Estate, Inc.
Pat Davis has been a real estate agent in Inverness Florida since 1990. You can count on Pat's experience in the local Inverness real estate market. Pat is committed to her clients and will work hard for you. Everything you need to know about buying or selling an Inverness Florida home, or property in the surrounding Citrus County area, such as Floral City, Beverly Hills, Hernando, Pine Ridge Estates or Citrus Hills can be found here on my Inverness FL real estate website! As a prominent Realtor and real estate professional in my Florida community, I am dedicated to providing the finest real estate services available while breaking new ground, whether you are looking for New Construction, Waterfront, Maintenance Free, Commercial, Acreage or other properties in Inverness, or the surrounding area. Because the Florida real estate industry is becoming more sophisticated and challenging every day, you need a Inverness FL area Realtor that understands the industry and is positioned to stay ahead of the game. Buyers - Looking for Florida properties, such as luxury homes, golf course communities, lots, land, or waterfront? I can help. I can assist with a variety of other property types, including rural property, horse property, farms, foreclosures, commercial, or investments. Keep in mind, I go the extra mile to help you with your real estate goals, including help with relocation, moving, the first time home buyer, and financing. Let me help you find the perfect Inverness FL homes for sale. In fact, make your homes for sale search easier. Become a VIP Buyer, and get the latest Inverness area listings emailed free. Sellers - Whether you are selling a Inverness or surrounding area house, condominium, townhouse, acreage, or other property, you can use our free market analysis (CMA) feature. And search for homes to find comparable homes for sale in the area right here on my Inverness FL real estate web site. I constantly research the Florida market and property values so your Inverness Florida home or surrounding community property is priced effectively from day one. I also make sure the public knows your Inverness Florida home, or surrounding area property is for sale by using innovative advertising and marketing techniques to attract potential Inverness home buyers. You can work with me in confidence, and I am dedicated to meeting and exceeding your Florida property needs. 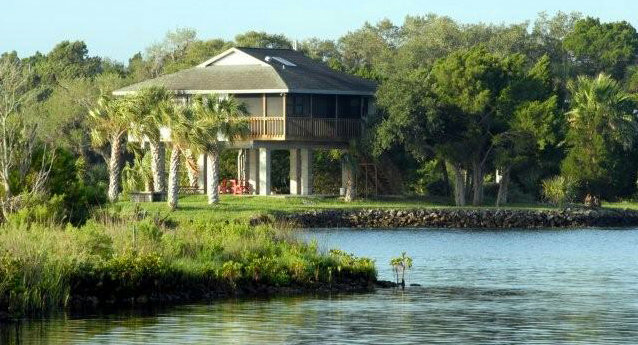 Thank you for visiting www.c21patdavis.com - your Inverness, Florida Real Estate Information Source! I strive to provide the highest quality of service to all my clients while making each transaction as profitable, professional, and stress-free as possible. I understand the importance of professional ethics, integrity and continued education. Call or email me today for information on your next real estate transaction.